A key part of international political cooperation and diplomacy is the exchange of gifts. Vladimir Churov, Chairman of the Central Election Commission of Russia, has received many gifts from Asian countries from the time he started visiting them as an election observer. He decided to donate some of the gifts from Japan, Thailand, Mongolia and some Russian regions to the State Museum of Oriental Art in Moscow. RBTH takes a look at some of the most interesting presents. 1. Thailand. Bowl with a lid, 2000s. Bowls were presented to Churov by the Election Commission of Thailand, when he was an observer of the Thai parliamentary elections. 2. Thailand. Bowl with a lid, 2000s. 3. Japan. A traditional doll, 1990-2000s. Presented by the Embassy of Japan. 4. Mongolia. 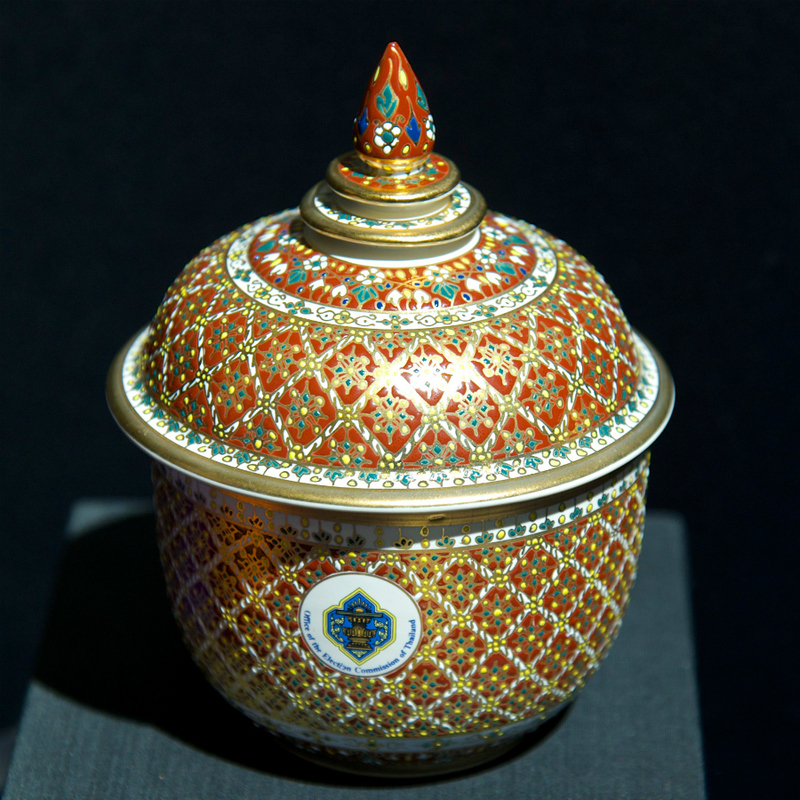 An Ayag bowl, 1990-2000s. Churov received this as a gift when he monitored the presidential elections in Mongolia. 5. Russia. Wine horns, 19th century. Presented by the president of the Republic of Dagestan. 6. Russia. The Dragon and Shaman sculptures, presented by the Election Commission of the Republic of Tuva, and skullcaps, presented by President of the Republic of Bashkortostan. 7. Vladimir Churov (Right) donating his gifts to the State Museum of Oriental Art in Moscow.